Well, by the time I hit “publish,” this won’t be the latest. I signed up for email updates from my vet, I’m wearing cyber tracks into Google and haunting the Colorado Department of Agriculture’s site. Friends send me updates — some legit, some questionable. So I’m doing what I can to stay informed and to share what I know. And I’m doing what I can to keep my horse safe. Even before my barn manager here in Colorado Springs decided to quarantine the animals, I decided to leave Wonder Pony here rather than trailer him down to La Estancia Alegre for this weekend’s clinic. 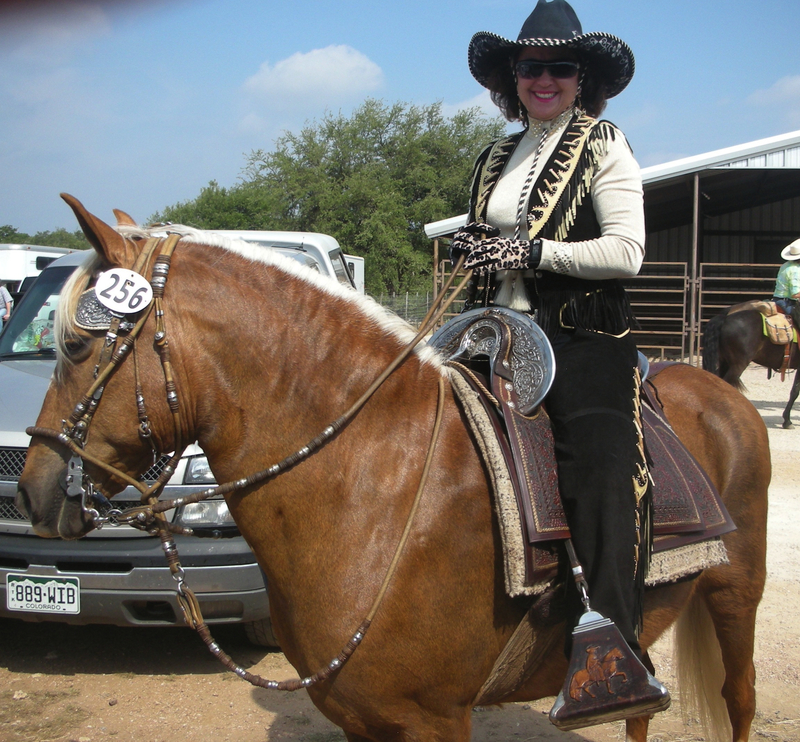 (Thanks so much to Barbara Windom for offering up her horses to those of us who can’t bring our own.) I’m canceling next week’s vet appointment — teeth floating and Coggins can wait at this point. But I’m also not freaking out. 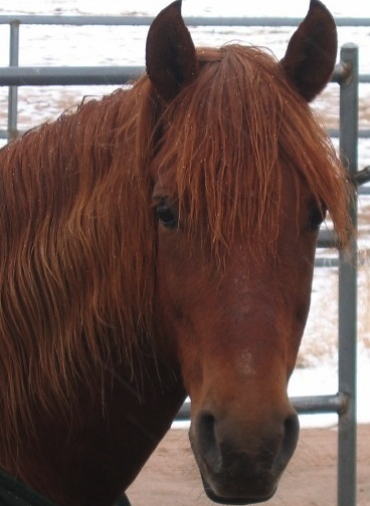 Six infected horses — two euthanized — in Colorado is concerning, for sure. But I’m grateful that the flow of info is so quick, so thorough and so constant. I’m optimistic that this has been caught early, and the measures horse owners and professionals are taking will minimize the disease’s impact. Just want to say thanks to everyone who participated in and supported the Southwest Peruvian Horse Show. I enjoyed fantastic horses, exceptional people and nonstop laughs for the entire weekend. It was great to catch up with old friends and make new ones down in Glen Rose, Texas. Check out some of the great photos here. I’ve decided I definitely want to be a ring steward when I grow up. My first time down there on the arena floor was a phenomenal chance to learn more about our breed and see the show from the judge’s perspective. It was also helpful to see the inner-workings of a well-established, well-run show. Hats off to the entire show committee, volunteers and Southwest Peruvian Horse Club board for all their hard work. And special thanks to Judge Nazario Villafuerte to putting up with and answering my nonstop questions. I know I talk too much. I’m about to have the best Mother’s Day ever. Tomorrow I’m heading down to Texas to be a part of the Southwest Peruvian Horse Show. Wonder Pony will not be joining me, sadly. But I’ll still get three days to enjoy great horses and friends as my kids get quality time with my mom. It’s the perfect Mother’s Day weekend for us both, actually. I’ve been looking forward to this for almost a year. I was invited to be ring steward (really I prefer the title “ring leader”) by a friend who’d made the long drive to Denver for last year’s Denver Queen City Horse Show — a fantastic combo show with the Colorado American Saddlebred Horse Association. Texas shows are always a blast. I have deep roots in the Lone Star State. It’s where I grew up, and it’s where I first fell in love with our breed. So many wonderful people down there have offered me help, advice and encouragement — I’m really happy I can contribute to their efforts to showcase and show off their horses. When we cross state and club lines, we’re supporting our breed and our friends. I hope my Texas pals will haul north to take part in our show July 21-23. Or out to Vegas for the Gold Rush Classic June 24-26. The full NAPHA show schedule can keep us busy from February to October. You don’t have to cringe as your child gets patted down by the TSA because he insists on wearing overalls that trip the sensors to make it to distant shows. (I won’t, either. Those overalls magically disappeared after the last pat-down.) Do what’s easy, fun and practical for you. Cheer for friends at your closest show. Volunteer to hand out ribbons or work the gate. Sponsor a class. Enter your 50 finest animals in every show on the calendar. Or get out on the trails and answer strangers’ questions about what’s wrong with your horse’s legs. Mount up for a parade. Take your horse to a local 4H class. Perform in equine festivals and other events. It’s up to us to preserve and promote our historic breed. It’s an animal well-worth sharing. A recent discussion on our club Facebook page hit on this very topic. An article on Peruvians and reining appeared in my email inbox, so I posted it to our FB page. There are some excellent comments in there about what different people are doing with their horses and what those activities mean for and about the breed. I’m not picking a side here, but I think it’s a good discussion to continue as we all work to promote our breed. I know we all want to share and show off our horses, but I think we also need to figure out whose attention we’re trying to catch. If we can define the market we’re trying capture, we can target those folks. I guess that raises the question of who “we” is, though. Are “we” traditionalists preserving and promoting Peruvian culture? Are “we” fun-loving trail riders who just want to get out and enjoy nature? Are “we” parade/demo folks who love to put on a memorable presentation of this stunning horse? Are “we” competetive types who have something to prove to other breeds? If “we” are all the above, I’d say that’s a pretty versatile group.